The old magician’s saying that the “hand is quicker than the eye” is reminiscent of the fog being created by those seeking to push agendas. Recently, I had a lengthy discussion with a friend who jumped to conclusions and drew his own inferences about the perspective of NL Wright regarding the issue of Gay Marriage. NL Wright is a brilliant scholar and his take on this hot button issue is interesting, regardless of which side of the issue you fall. The reaction was one of attack and anger that he was tired of people pushing their religious agendas on others. I found it kind of interesting as his response ended up being exactly what he was accusing me of, when that was never the issue. The truth is that if someone that professes to be a follower of Jesus is living their faith, we love everyone without conditions. That does not mean we agree, condone, or accept their beliefs when different than our own, but we do not sit in judgement. That is God’s job. At the same time, we have every right to profess and live our faith, just as they have the right to their own opinion. You can’t have it both ways. Personal agendas do not make it right and don’t try to tell me that I can’t live my faith the way I choose, nor can I do the same for you. You also have the right to your opinions and I have that same right too. Unfortunately, there seems to be the impression that a court case can change this setup. It doesn’t. I am disappointed when I see the amount of vitriol and anger that some seek to share when others have a different belief. Faith is not a political issue, never has been, and it never will be. You cannot legislate or adjudicate faith, period. I get the impression that some feel that it should be possible, but unfortunately they could not be more wrong. And when I speak of love I’m not speaking of some sentimental and weak response. I am speaking of that force which all of the great religions have seen as the supreme unifying principle of life. Love is somehow the key that unlocks the door which leads to ultimate reality. Another big issue is trying to re-write history to fit within your own belief system. History cannot be re-written and those that seek to do this should just stop. The purpose of history is to learn from it and try to adjust your behavior to do better for the future. The amount of energy spent trying to fight about the past is such a waste of resources and focus. We need to learn, get better, and move forward. Yes, maybe the efforts to change history might make some feel like they have won some sort of battle, but in the end, they are just wasting their opportunity to make things better moving forward. The real question is are you trying to re-write history, or just try to justify your own beliefs? A belief is legitimized when those that have the belief are able to convince others to believe the same thing. If you are able to get others to agree with you and want to join with your beliefs, you have every right to do it. Faith is a protected commodity to those that have it. It must be followed and those that have a strong faith must continue to live it, protect it, and never lose focus on it. It is not a sword, but a shield and as a follower of Jesus we will not allow the chaos around us to detract our focus to seek all confidence in Him. He is our rock, our protector, and those that do not understand this will never understand. We must live our faith missionally 24 hours a day, 7 days a week. Legislation and lawsuits will not penetrate or dissuade our faith as our strength is from Him, period. 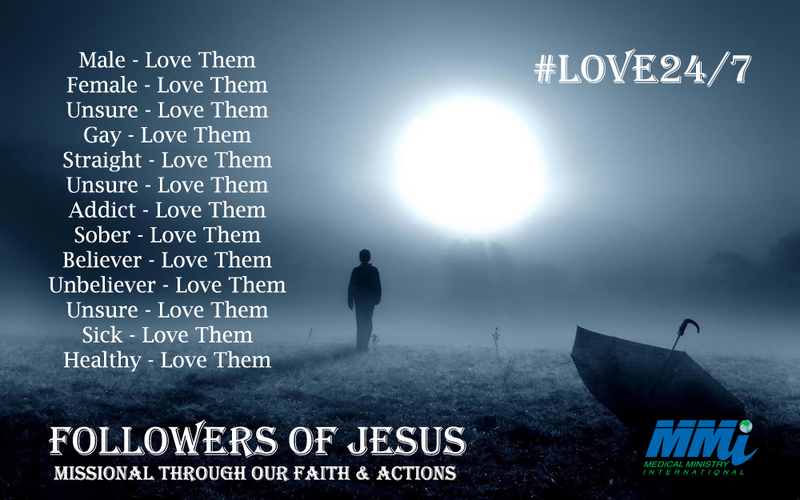 There is no question, its about Love….our love of Jesus.